Oyster Bay, which was tested by No. 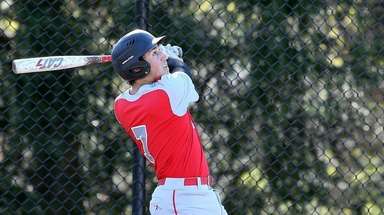 4 Carle Place, goes for its third straight county title. 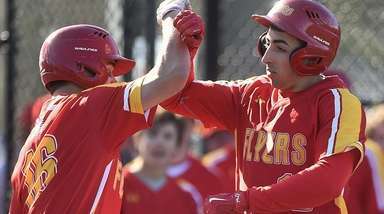 Staring at the possibility of a massive upset, Anthony Reilly, Devon Marmorale and Oyster Bay stuck to their game plan, confident they would eventually start to see their shots fall. An underdog Carle Place team made things difficult, but by the fourth quarter, the No. 1 Baymen got on track and pulled away for a 68-52 win over the No. 4 Frogs in a Nassau Class B boys basketball semifinal at Farmingdale State Sunday. 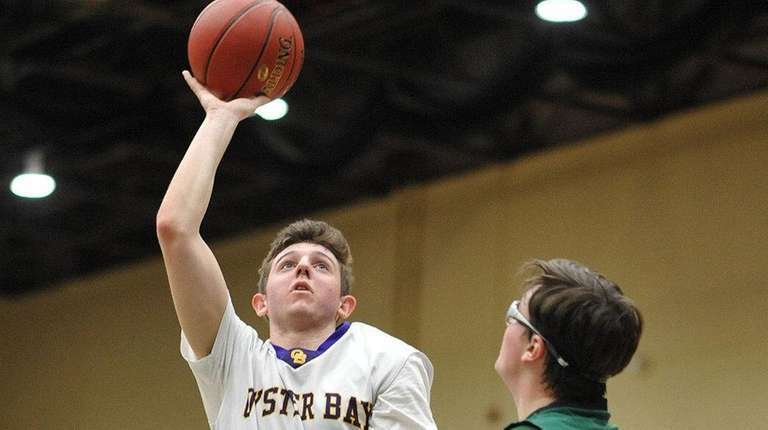 Reilly and Marmorale scored 16 points apiece for Oyster Bay, which will play for a third straight county championship at 2:30 p.m. Thursday at SUNY-Old Westbury against No. 2 Malverne. 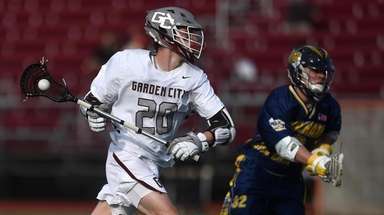 Oyster Bay (18-2), which had won its previous two meetings against Carle Place by a combined 91 points, only led by three late in the third quarter. Then, it went on a 15-2 run to take a 53-37 lead with just over six minutes left. Carle Place (2-18) finished with 11 made three-pointers. 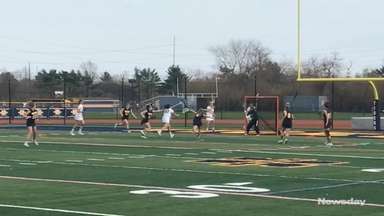 Oyster Bay had four, with three in the game’s final 10 minutes. The Frogs rallied to close out the first half when Matthew Morrison (23 points) hit a three-pointer and Julian Alfaro made a layup to cut the Oyster Bay lead to four. Reilly answered with six seconds left to give the Baymen a 28-22 halftime lead. 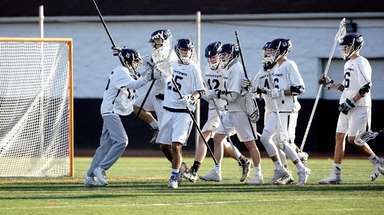 The Frogs brought the deficit down to three after Alfaro hit a three with six minutes left in the third quarter and answered a 7-0 Oyster Bay run with an 8-1 run of their own. The spurt was capped by a Morrison three from the top of the key with 2:10 left to make it 38-35 Baymen, but that was as close as the Frogs would get. 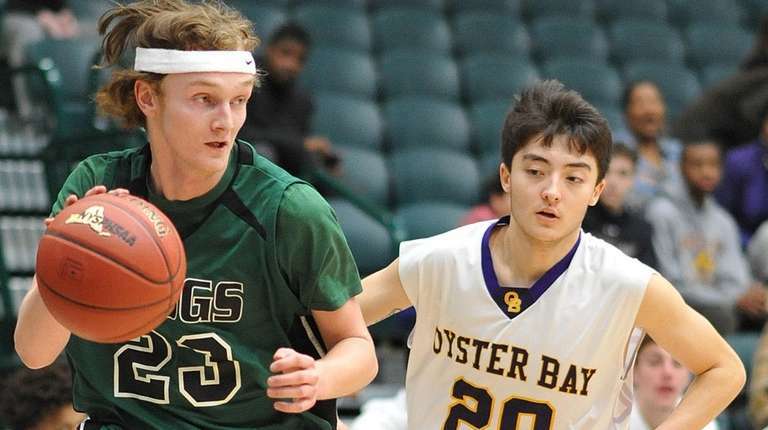 Elia Deblasio and Luke Puccio both added 13 points apiece for Oyster Bay.